Denkami's writings: One man flag in his hand. One man flag in his hand. 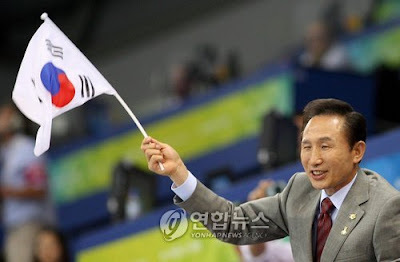 He is President of the Republic of Korea. What is wrong with the way it is. Will depend on the national flag upside down. 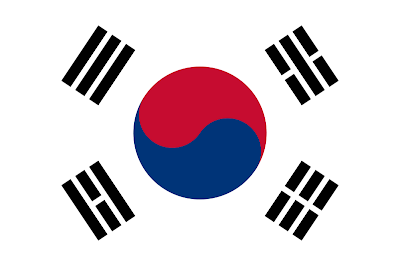 Flag of the Republic of Korea as an image above and 4 Ryun (it starts 3 to 6). Which means harmony among Taegeuk. The amount of red and blue and red Taegeuk is above. But the president of one country holding the national flag to look. That picture of China's photo, taken in the Beijing Olympics. He was President of the Republic of Korea. But he's holding a flag upside down. What it means in this situation? People are ignored, and being ignored in the overseas. And a significant position or be fooled. The president elected by the people like him are pathetic. 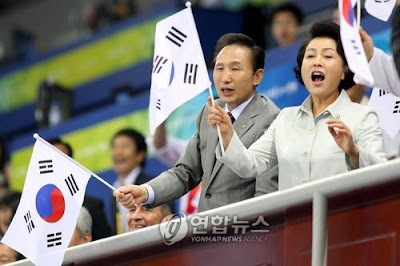 I am a disgrace nothing about the people of the Republic of Korea. That person has to wait for the president to quit when I feel that it is too long. Please do not make a international trouble , I hope. President, You are already George Bush's canine? I hope people do not want to make anymore.